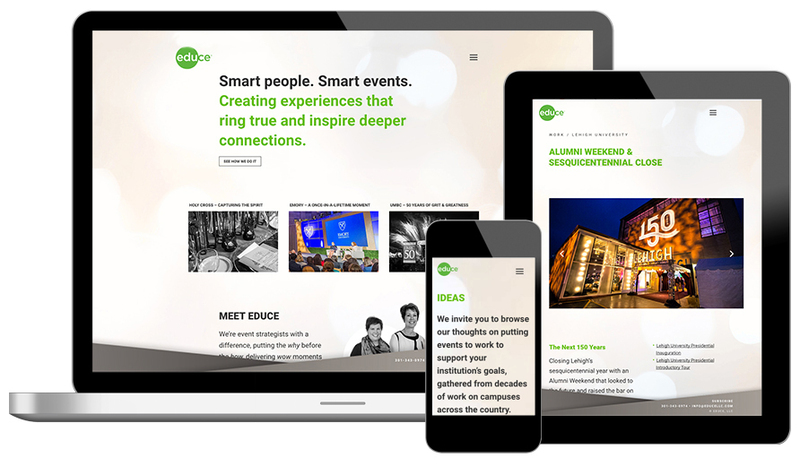 We recently created a new website for Educe, a boutique firm focused entirely on the event needs of higher education. Our scope of work included a responsive website, collateral and a tradeshow backdrop. For Educe's blog, icons were created for each category of industry expertise. Animations were created to illustrate Educe's process of consultation through implementation. All illustrations are by Miguel Porlan.